Go to this website. Watch free movies and TV shows. Free and legal. Alcohol in baby bottles, French tax loophole. Someone has a great Tax Advisor. 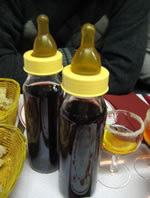 Disgruntled servers and fondue restaurants are all over Paris, we know, but this is the only place that offers up some of the lowest-end table wine served in baby bottles. It seems that Le Refuge des Fondues found a clever little shortcut to getting around the mandated tax Parisian restaurants face when serving wine out of the slightly more traditional stemmed glass. 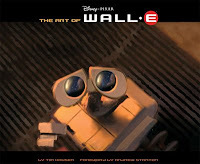 Here is the art book for the upcoming pixar release WALL*E. Preorder it today from amazon for a discount.